Municipalities aren’t a level of government defined in the Constitution Act. Cities are creations of the provinces. We don’t make laws; we make by-laws. 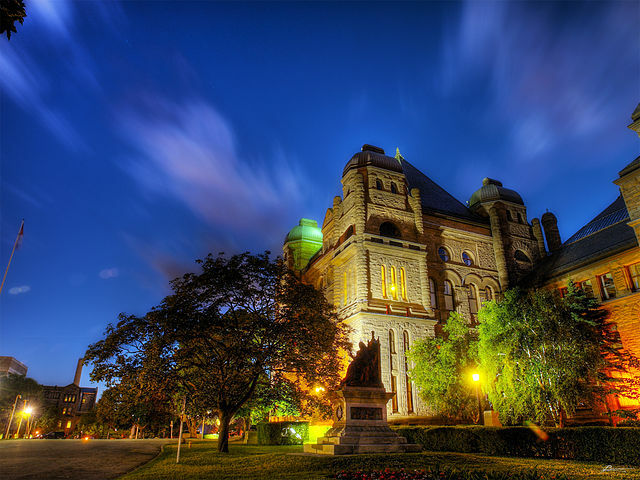 We take our land use planning direction from Queen’s Park. We have the tax tools the Province gives us. Police are accountable to the provincial legislature, which is also where traffic laws are made. The very conduct of the Corporation of the City of Ottawa and its elected officials is governed by laws passed by the provincial government. Kitchissippi faces challenges and opportunities as new planning, transportation and environmental thinking permeates our plans and policies. We rely on the Province for the funding and frameworks to in part build our transit and infrastructure, develop our Official Plan to plan for growth, protect our environment and protect our quality of life in the face of profound change. Every indication is that the candidates for Member of Provincial Parliament in Ottawa-Centre will offer residents a choice of qualified, engaged and thoughtful individuals. Where do they stand on the issues that matter to residents in the context of city-building? Health, education and energy are the issues that get the most attention in provincial campaigns, but we’re wondering as residents specifically of Kitchissippi, where do the candidates stand on the issues that shape how Ottawa City Hall crafts policy? On June 7, Ontario residents will go to the polls. On May 1, I’ll be asking candidates to respond to the questions that matter to me, and hopefully to you, as residents of this ward. Today, I’m posting a draft of that survey. I’d like to have your feedback as residents on that survey before I finalize it – just leave me a note in the comments section below. I’ll publish the candidates’ answers by May 30 without editorial changes. The rules currently proposed for inclusionary zoning (a regime to force developers to include affordable units in large projects) would exempt rentals and require that cities subsidize the lost value to developers of affordable units by 40%. Do you agree or disagree with those rules, and how will you address those as the rules evolve? There is a disconnect between wealth and income that distorts the ability of residents on fixed incomes to pay rising municipal taxes that are based on property value. How will you address that to provide cities with the flexibility to raise needed revenues without disadvantaging any one group of residents? Traffic violations such as speeding, rolling stops and distracted driving are putting Kitchissippi residents at risk. How do you propose to address those through the Highway Traffic Act, drivers’ education or other tools? Under current land-use planning frameworks, development trumps trees. Kitchissippi is losing its urban forest canopy. How will you address this at Queen’s Park through changes to the Municipal Act or Ontario Building Code Act to provide greater protection for urban trees under intensification pressure? Will you commit to advocating for annual baseline funding to build municipal cycling without the need to put further burden on property tax payers? How can Provincial regulations be modified to remove impediments to building more cycling infrastructure? Relationships between neighbours and infill builders can sometimes be tense. Will you commit to seeking changes to the Ontario Building Code Act that give cities the power to deny building permits to builders who don’t respect adjoining residents? The Prince of Wales bridge could be a critical transit and active transportation link between Ottawa and Gatineau. Will you commit to funding to help accomplish that? Police are too often called upon to intervene in situations that are the result of un- or under-addressed mental illness or addictions issues. How will you help improve our systems so that those issues are addressed at the root rather than by police trained in addressing crime and the use of force?